I'd love to give olive and chambray a try! I do have the olive jeans, but I haven't yet found the perfect chambray shirt. I have tried on a few nice options, but no perfect ones just yet! Isn't the perfect chambray shirt hard to find? I like mine, but I wish it were a little longer. I saw H&M had a long one and I've been so tempted to buy it. It really is a cute look, I love these colors together! Although I don't own olive pants, I do like to wear blue jeans with an olive top. I really need to get some some olive pants though! Well reversing the colors works too! I highly recommend olive pants. I really wear mine a lot. I may or may have not tried this combo before. But it is so cute and I need to do a version of it soon, Amy. Sometimes we need to see outfits on others to re-see them on ourselves, even if they are the simplest yet cozy and chic looks like yours. 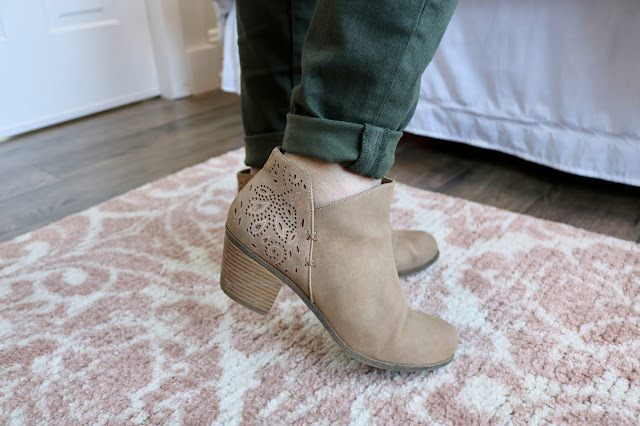 I love olive with chambray! Thanks Ada. My life is very simple, so my clothes have to reflect that. I don't work outside of the home. My church is very casual. So I really only wear casual clothes. 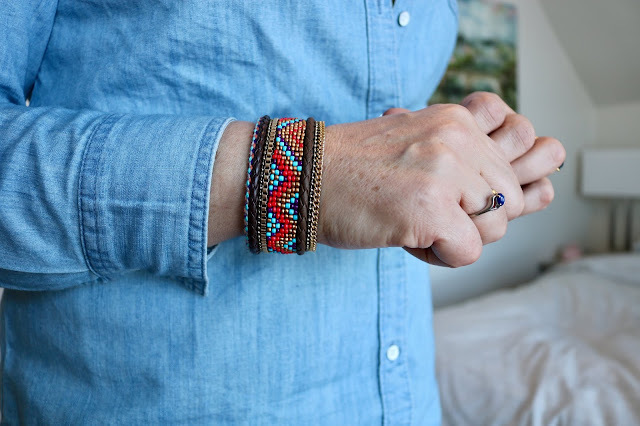 I look for inspiration wherever I can: blogs, Pinterest, and what other women are wearing. I didn't know about the link up. I'll head over there now! You have me scratching my head as to if I've tried this combo before. 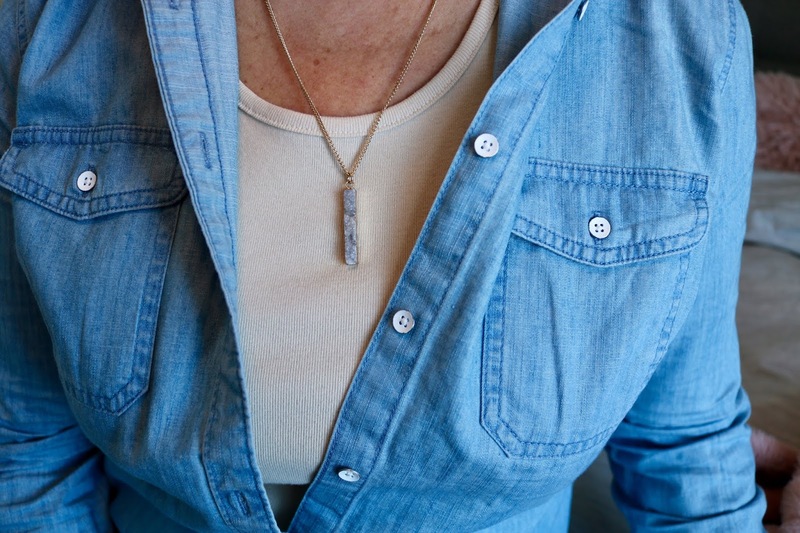 I've worn my chambray tank will almost everything, but I'm not sure about a long sleeved shirt. Looking back at my photos, I think I always pull out camo with denim/chambray. I really like the pins you found. Thanks Kim. I avoid Camo because I wore too much of it when I was in the military. Love those olive jesns! I had asked for olive jeans from Royalty for me, but they sent the sand instead. 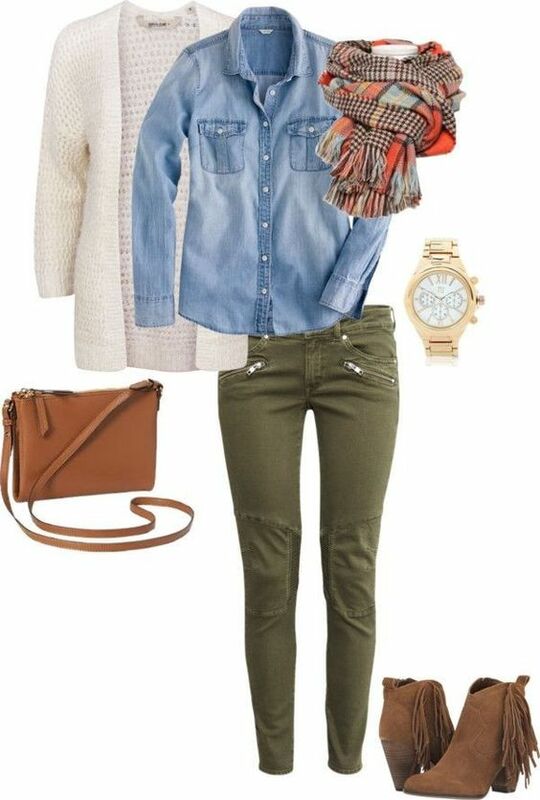 Love the mix with the chambray! They will work with so much, looking good! Such a pretty combo dear. So perfect for the season.